On a coffee-shop/hotel WiFi opening GNOME Screenshot repeatedly pops up intercepted networking certificate alert. That Screenshot would not require network access to simple execute/run/open up. I'm not on the same network you're on and I don't know if you have changed the settings of GNOME screen shot in anyway so you may get different results. 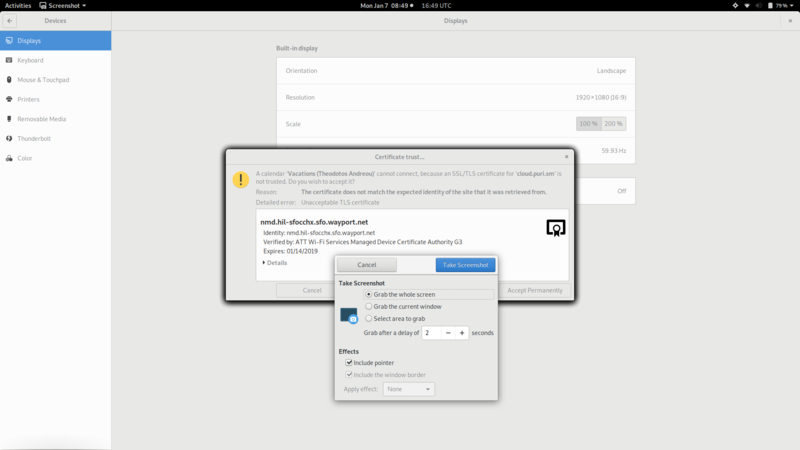 But it doesn't look like GNOME screenshot is using network for anything other that local dbus communication.